T-Mobile has hit download speeds of 1.3 Gbps using Nokia's commercial Licensed Assisted Access (LAA) technology. The high-performance was achieving using 14-layer transmissions during tests conducted at T-Mobile's lab in Bellevue, Washington. 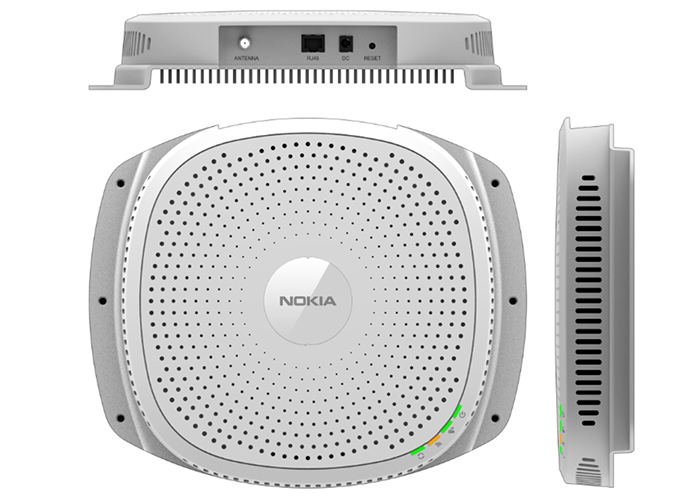 The tests employed an Nokia AirScale Micro RRH connected to an AirScale system module. Speeds of 1.3 Gbps were achieved by aggregating LTE carriers in licensed and unlicensed bands using five-component carrier aggregation, 256QAM, 4x4 MIMO and LAA on 14 antenna layers. Neville Ray, chief technology officer at T-Mobile, said: "We are working to deploy small cells that support LAA and build on the LTE-Advanced features we've deployed across the country, laying a foundation for 5G. Our priority is ensuring customers have the best mobile experience, so we are accelerating LAA and five carrier aggregation to give them even higher speeds and greater network performance." Marc Rouanne, president of Mobile Networks at Nokia, said: "Nokia is providing a path towards 5G that allows operators like T-Mobile to attain gigabit speeds with LTE by leveraging all available licensed and unlicensed spectrum. With LAA, we are helping T-Mobile gain higher download peak rates than could be achieved with licensed spectrum alone. This adds capacity beyond the spectrum licensed to this operator, and the existing network sites are used with limited TCO investment." 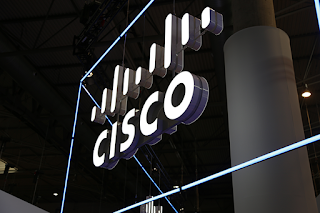 Rackspace is extending its long-running partnership with Cisco to include advanced security solutions. Rackspace, which was already one of Cisco's largest firewall customers, continues to pilot Cisco’s advanced security solutions. Rackspace has deployed and served as a testing partner for Cisco’s stateful firewall, the ASA series, to the ASA 5500-X Series, to now the Cisco Firepower Next-Generation Firewall for advanced threat protection. Rackspace is deploying high volumes of Cisco’s Next-Generation Firewalls and integrating them directly into its services, helping enable its customers to manage their hosted environments more efficiently and securely. 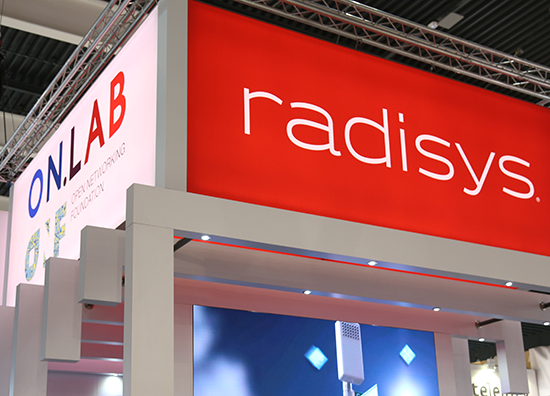 Quanta Cloud Technology (QCT) has selected Radisys; MobilityEngine LTE-Advanced and 5G RAN software to run on its open server hardware platforms, delivering optimized high performance and low latency RAN solutions to mobile operators globally. The solution also integrates Affirmed Networks’ cloud native 5G Mobile Core and leverages Radisys’ integration services. QCT is a leading hardware vendor that has embraced the telecom industry shift to open hardware, including OCP-based hardware, rackmount servers, COTS-based x86 platforms and more. 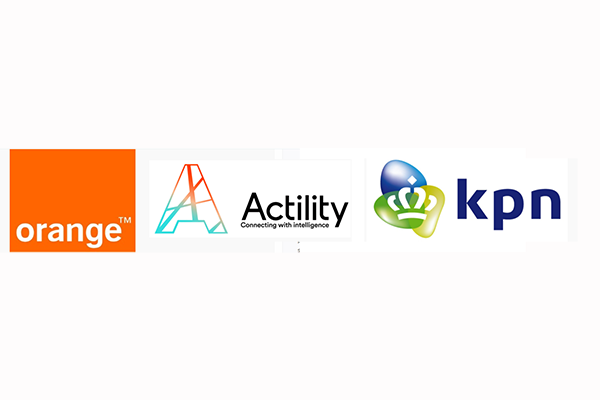 Radisys’ MobilityEngine software introduces open and disaggregated mobile access cloud solutions. The companies said that by pre-integrating and pre-validating MobilityEngine RAN software and Affirmed Networks’ 5G Mobile Core Solution onto QCT’s hardware form factors, Radisys and QCT can offer to their customers differentiated, performance-optimized solutions for LTE-Advanced Pro and 5G RAN with faster time-to-market and reduced risk. 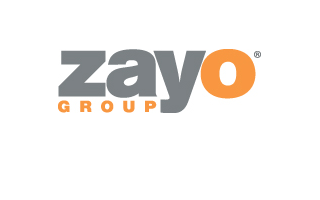 Zayo Group will sell its Scott-Rice Telephone Co. business unit, a Minnesota ILEC (incumbent local exchange carrier), for $42 million to New Ulm Telecom, Inc.
Zayo acquired Scott-Rice Telephone as part of its March 2017 purchase of Electric Lightwave and has since managed it separately within its Allstream business segment. Scott-Rice Telephone serves residential and business customers in areas of Scott and Rice counties southwest of Minneapolis. The National Optic Fibre Backbone (NOFBI) is a project aimed at ensuring connectivity in all the 47 counties of Kenya both to ease communication across counties as well as improve government service delivery to the citizens such as the applications for national identity cards, passports and the registration of birth and death certificates. The project is being implemented in 2 phases: NOFBI Phase 1 which started in 2007 and involved laying 4,300 km of cable and NOFBI Phase 2 which kicked in in 2014 and was designed to add a further 2,100 km of cable. The programme is being driven by the Government of Kenya with funding from the Chinese government, construction by Huawei, operation and maintenance by partially government-owned Telkom Kenya and oversight by the Ministry of ICT. In mid-September 2015 it was announced that as part of the Eastern Africa Regional Transport, Trade and Development Facilitation Project the World Bank had released KSh 54 billion of funding to support the building over the next 2-3 years of major communication links between Kenya and the South Sudan including mainly a $500 million superhighway between Lokichar in Turkana County in Kenya ("about 200 miles from the Sudan border )and the South Sudan borderpost of Nedapal together with a fibre optic link which would cost KSh3.9 billion of which the Kenyan section would cost KSh2.4 billion. About 25% of South Sudan imports come from Kenya. KENET provides broadband internet services, by connecting member institutions to national and global internet It has PoPs in Nairobi(at the University of Nairobi and the United States International University) as well as Meru, Kisumu, Eldoret, Nakuru and Mombasa. KENET have access to a 10Gb/s Internet connection that is dedicated to education and research. Researchers and educators can transfer larger data sets per day between campuses in support of their research, as well as access grid computing infrastructures and high-performance computers. Students and staff have access to commodity Internet (educational videos, Wikipedia, YouTube, Facebook, coursera, etc) through dedicated commodity connections, supported by peering arrangements and caches for major content providers. As of September 2017, KENET was providing Internet services to 220 campuses in different parts of Kenya. By September 1, 2017, KENET was generating over 13 Gb/s Internet traffic, about 60% being Google traffic (Google PoP in Mombasa and Google cache) and 6% Akamai traffic. KENET had a national distribution capacity of over 27 Gb/s consisting of leased lines and KENET dark fiber with 83 universities on a 1 Gb/s port to the KENET backbone network. 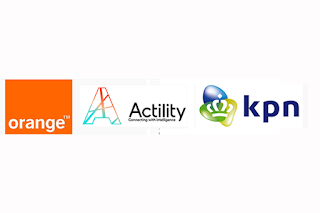 KENET also peers directly with GEANT and London Internet Exchange in London through UbuntuNet Alliance, and is now connected to Africa Connect providing direct connections to African NRENs (e.g., RENU in Uganda, ZAMREN in Zambia and TENET in South Africa). In mid July 2017, the Kenyan Wall Street reported that Visa was taking on both MPESA and Pesalink by announcing a partnership with nine Kenyan banks namely Barclays Bank; Cooperative Bank; Ecobank; Family Bank; KCB Bank: NIC Bank; Prime Bank; National Bank of Kenya; and Standard Chartered Bank; to offer free money transfer using Visa’s mVisa system hosted on its Visanet network. The report added that mVisa would now also be accepted at a number of merchant locations across the country through Direct Pay Online and Jambo Pay and noted that the countries in which mVisa was engaged Included live systems in Kenya, India, Rwanda and Egypt with plans to launch in Nigeria, Uganda, Tanzania, Ghana, Indonesia, Kazakhstan, Pakistan and Vietnam underway. Kenya’s e-commerce sector is currently dominated by brands such as Jumia, Kilimall, OLX, Pigiame, among others. In November 2017, Safaricom announced that it planned to enter this market with its Masoko(=“markets” in Kiswahili) product which would start with 200 vendors and about 30,000 consumer goods ranging from electronics to food and would provide a platform for merchants to trade goods on social media sites. Independent observers expected Safaricom to face stiff competition from market leader Jumia which four year after its launch now supports 5,000 vendors and about 500,000 products listed on its e-commerce. In August 2010, it was reported by Business Daily Africa that Safaricom had signed a three-year contract with Huawei for the supply of its core network requirements, and roll out of a 4G network at a cost of KSh12 billion ($143 million). In July 2012, Business Daily Africa reported that Huawei had secured an exclusive tender to build a KSh6 billion national fibre optic infrastructure and e-government projects expected to start in August which would link Nairobi with 36 other towns through a Wide Area Network (WAN). In November 2016, Safaricom and Huawei announced that they were celebrating 14 years of partnership which had included the modernisation of Safaricom’s network infrastructure for both 2G and 3G as well as key involvement in Safaricom’s Transmission, core network and CBS billing system as well as in the implementation of M-PESA the revolutionary money transfer system owned by Safaricom’s parent company Vodafone.More recently the companies had partnered for the rollout of 4G LTE and the national police surveillance system. In the report, Huawei claimed its mobile phone share in Kenya was around 10% at that time but it was targeting a 20% share using a range of phones. Including ultra low-cost phones selling at KSh5,000 In August 2017, Safaricom and Huawei announced that in order to accelerate the introduction of FTTH in Kenya Safaricom would adopt Huawei's end-to-end (E2E) FTTH solution. Safaricom's plan is to utilize existing metropolitan area network (MAN) optical cables and preferentially use aerial cables. The architecture also looks to integrated the fixed broadband optical distribution networks (ODNs) with Safaricom's mobile backhaul networks. This enables Safaricom to deploy mini optical line terminals (OLTs) and wireless base stations in the same cabinet, realizing fast deployment and decreasing network construction costs. In summary, although Kenya is now beset by a very difficult political/tribal conflict, the nation's overall telecommunications market has been improved significantly over the past decade and is positioned to continue forward progress in delivering better digital services to all corners of the land. In 2015, then chief executive Adil El Youssefi said the company would quit Kenya if regulations were not introduced to tame the dominance of market leader, Safaricom. In the year to December 2016, Airtel Kenya made an after-tax loss of (KSh8.1 billion), making it one of Airtel’s worst performing markets in Africa. In August 2017 Airtel Kenya showed current liabilities at KSh55 billion against KSh9.7 billion in current assets as at December 2016, making the company’s local operations technically insolvent. Data from CA indicated that Airtel’s market share shrunk three per cent in the previous quarter, with total subscribers standing at 6.1 million as at June 30, 2017. In December 2017, based on an article in India’s Economic Times, which had interviewed Bharti founder and CEO Sunnil Mittal, several news-sources reported that Airtel Africa was planning to quit operations in Kenya , Uganda and Rwanda where its operating margins were very low.However the next day the company denied this but said it was open to some form of partnership. In late December 2017, it was reported that Airtel had acquired TIGO Rwanda for 6x projected EBITDA thus positioning itself both as a strong number 2 to MTN in the Rwandan market and also strengthening its overall commercial and financial position in the East African regional market. In October 2017 TIGO Rwanda was reported to have added 68,555 new mobile subscribers raising its total subscriber base to 3.45 million and raising its market share from 36.5% to 40%. 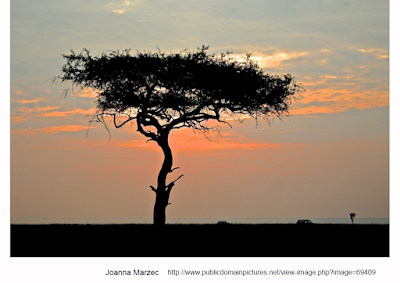 MTN of Johannesburg, South Africa, is Africa’s largest pan-continental teico with annual sales of around $15 billion and mobile and/or fixed operations in around 23 countries which collectively serve almost 250 million subscribers. Most of these are in Africa but the company also has operations in Afghanistan, Cyprus, Iran, Syria and Yemen. MTN attempted to enter the Kenyan market directly in 2008 but had some difficulty in doing so and consequently acquired UUnet, a local cable TV operator. MTN followed this up in mid 2014 by acquiring a 33.3% share of pan-African internet group AIG(Africa Internet Group) which was a joint venture between Rocket Internet and Millicom International Cellular, founded in 2012 and had a presence in over 13 countries on the continent, including South Africa, Nigeria, Egypt, Morocco, Cote d’Ivoire and Ghana. Other investors in AIG ,which had a valuation of around $1 billion, have included AXA, Goldman Sachs and Orange. At that time AIG operated several separate e-commerce ventures including Zando(South African fashion company), Carmudi(online car sales) as well as Jumia, Kaymu, Jovago(travel), Lamudi(real-estate), Easytaxi and Hellofood all of which have operations in Kenya. At the end of March 2017, MTN announced that it had opened a KSH 1.33 billion Kenyan ($12.9 million),40 rack by 72 servers, data centre in Nairobi, Kenya, designed to offer a cloud service to SMEs mainly by reselling Microsoft’s cloud service Azure. Liquid Telecom Kenya is part of the pan-African Liquid Telecom Group which is itself part of the large Econet Group global conglomerate founded in 1993 by secretive Zimbabwean Christian billionaire and philanthropist Strive Masiyiwa, which is mainly focused on global telecommunications but which also has investments in financial services, insurance, e-commerce, renewable energy, education, Coca-Cola bottling, hospitality and payment gateway solutions. Econet also has a Pay television outfit, Kwesé TV, which is already competing favorably across Africa with Naspers’ DSTV. Shares of the company have surged in value over the past year. In July 2017 Liquid Telecom successfully raised $700 million in a bond and term loan financing package from international financiers. In late January 2013 Liquid Telecom acquired Kenya Data Networks from Altech from the Johannesburg Stock Exchange-listed Altech Group in a deal that would according to the company, make it the largest terrestrial fibre operator on the continent. Altech would get an 8.6% stake in Liquid Telecom and 10% shareholder voting rights. In addition to the assets, Altech would however also subscribe a further US $16.5 million for the stake. In late January 2016, Liquid Telecom announced that it had extended its Kenyan fibre services to Garissa, the 120,000,mostly ethnic Somali inhabitants, capital town of Garissa County via a KSh60 million fibre network spanning over 21km which will be used to provide high-speed internet for Garissa County’s public, commercial and residential buildings. In mid-August 2016 it was announced that in cooperation with Kisumu County government, Liquid Telecom Kenya was laying a KSh54 million,12.4km, metro fibre optic network in Kenya’s third largest city, Kisumu, located on Lake Victoria and with over one million residents, that was expected to boost Internet speeds in the lakeside city ten-fold and cover Kisumu central business district, Milimani and Kondele up to Kibos, Kicomi and Migosi junction. The new network was designed to integrate multiple local ICT systems including county information systems, schools, libraries, transport, hospitals, power plants, water supply networks and waste management. In May 2017, it was reported that, after the expiration of a three year contract, former Airtel Kenya MD, Moroccan-born Adil Youssefi, had been appointed the new CEO of Liquid Telkom Kenya, replacing Ben Roberts, who would become board chairman of Liquid Telecom Kenya. In early September 2017 Liquid Telecom announced that it was upgrading to 100G DWDM technology its East Africa Fibre Ring ,a fully redundant regional system with multiple routing options which was completed in 2014, and links together Kenya, Uganda, Rwanda and Tanzania, with onwards connectivity to Liquid Telecom’s fibre networks in Burundi and eastern DRC. It also offers direct access to international subsea cables. The upgrade enabled 100G links to the cities of Kigali in Rwanda, Kampala and Tororo in Uganda, and Nairobi and Mombasa in Kenya, with further 100G upgrades planned for the East Africa Fibre Ring in the near future. In mid-October 2017, Ben Roberts MD of Liquid Telecom Kenya announced the signing of a Ksh 600 million, 40%/60%, 10 year agreement with Ketraco(Kenya Electricity Transmission Company), the country’s power transmission company that would enable Liquid Telecom to use Ketraco’s wire lines to extend fibre optic cables to counties such as Garissa, Isiolo, Garsen, Lamu, Rabai, Namanga, and Meru. As of 2015 Ketraco had 4,149km of transmission lines in operation, plus 4,489km planned or in construction and a further 4,207km expected to be installed over the longer term. The leading Kenyan MVNO by far is FinServe Africa Limited’s Equitel which uses the Airtel Kenya network and serves over 1.7 million subscribers. Equitel which operates the Pesabank interbank money transfer system is now the second largest handler of mobile cash in Kenya after Safaricom. Two other MVNOs Sema Mobile and Mobile Pay also use the Airtel Kenya but neither has been very successful so far. Two other companies Lycamobile Kenya and Homeland Media Group have CAK licenses and are expected to enter the market soon.